My chickens always seem to be in competition with each other. Either they are working hard to get the best bits out of the treat bucket or they are strutting and clucking to get the most attention from the head rooster. Today apparently there was an egg laying competition with awards presented for the largest as well as the smallest eggs. I have no idea who to thank for each of these beauties because there are many chickens occupying each space. The big green meanie comes from the layer coop. The bright white is from the Icelandic coop. It’s about the size of a store bought large egg. The tan one next to it comes from the juvenile coop. 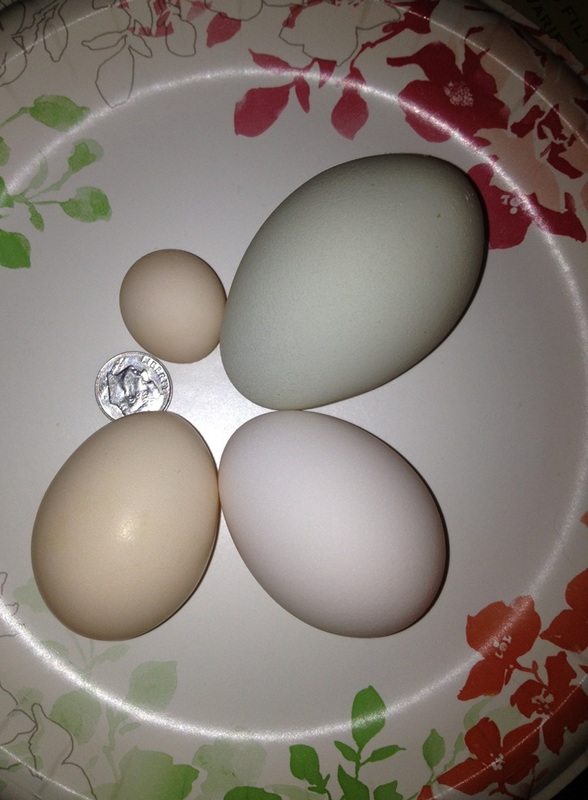 And last but not least, the adorable little “fart” egg comes from the Silkie coop. It’s one of the many miracles of modern chickens.